On a recent trip to the east coast I found myself in Baltimore, Maryland with a few hours to spare before my flight. I only had time for one tourist spot, so I chose the Star Spangled Banner house near the dock area of downtown Baltimore. A little slice of history on the edge of Little Italy. 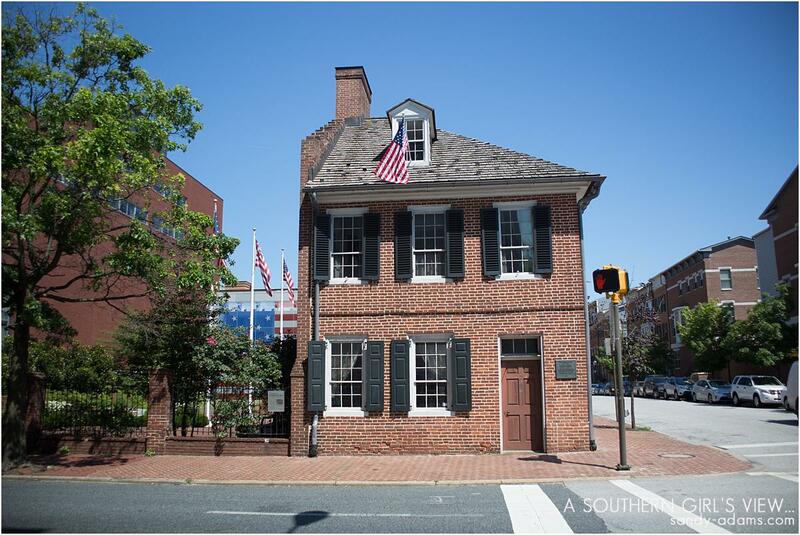 The house was home to Mary Pickersgill, the maker of the Star Spangled Banner flag, from 1806 until her death in 1857. 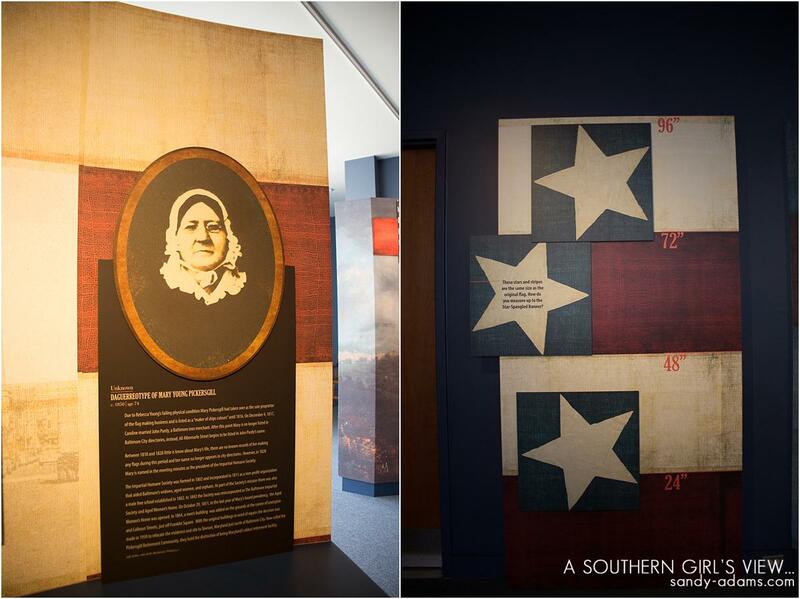 Mary was born in Philadelphia, to another noted flag maker, Rebecca Young, and moved to Baltimore in 1806. 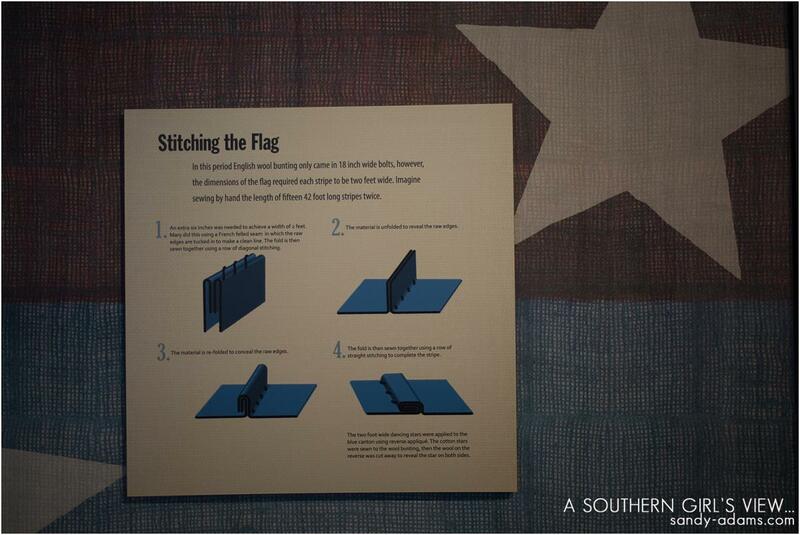 The flag was commissioned by Major George Armistead for Fort McHenry. He requested a flag so large that there was no way the British could not see it. The flag was installed in August 1813 and would fly over Fort McHenry for a year before the faithful Battle of Baltimore. Francis Scott Key, who was negotiating a prisoner exchange on a British ship during that faithful night so many years ago, became so mesmerized by the battle weary flag in the distance that he penned a “poem”. That poem later became “the Star Spangled Banner” aka the United States National Anthem. The flag weighed about 50 lbs and it took 11 men to hoist up the 90 ft flag pole. Thru a series of faithful Americans, this incredible part of history is now safely installed as a major centerpiece at the National Museum of American History in Washington D.C. 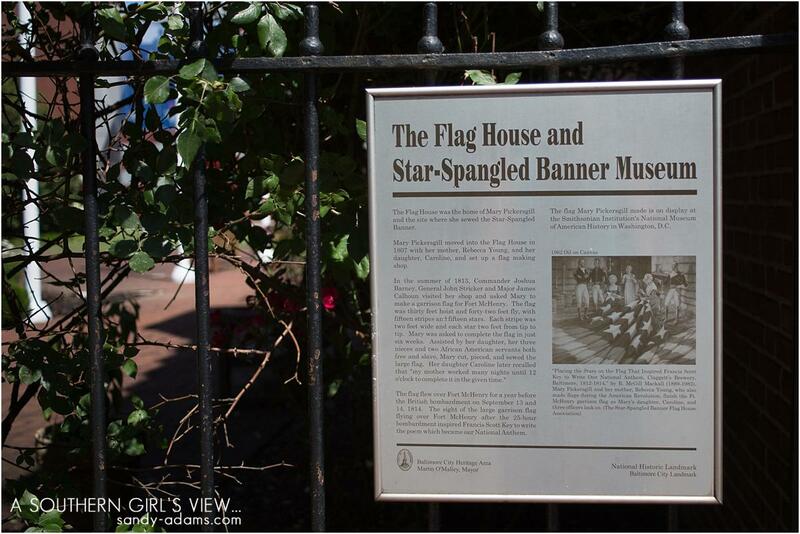 In 1969, the Star Spangled Banner House became a National Historic Landmark and placed on the National Register of Historic Places. Mary Pickersgill pictured above left. 12/20/2016 in Day Outing, historic landmark, Historical Note, Maryland, This Day in History Trivia.